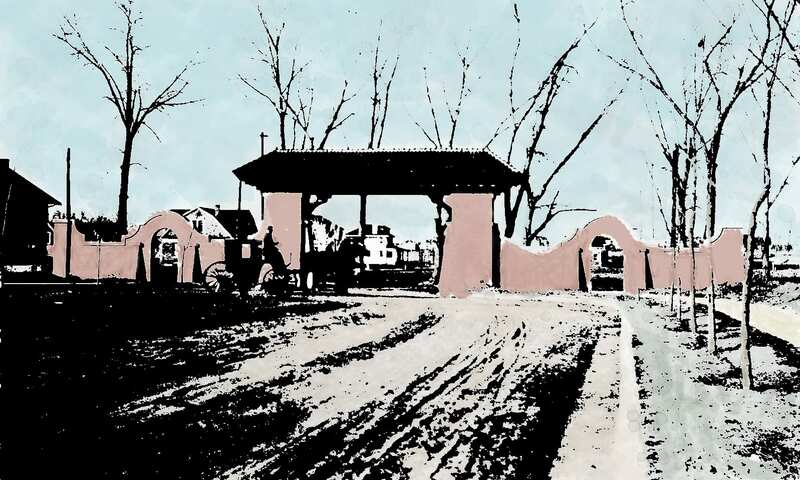 Did you know that a large portion of Cherry Creek was once a town called Harman? In the late 1800s, Edwin P. Harman purchased 320 acres and gave the ‘town’ his name. According to Erin Blakemore, “the town was apparently formed ‘because irrigation for crops and trees was needed for protection against tramps, bums, bummers, and the liquor traffic. '” The town did not last very long, as it was annexed by Denver in March of 1894. The old town hall still stands on the northeast corner of 4th Avenue and St. Paul. Over the last 10 years, the building has been restored and developed into an interesting mix of the old and new of Cherry Creek. In 1906, the local school called Harman Community School was renamed Bromwell.